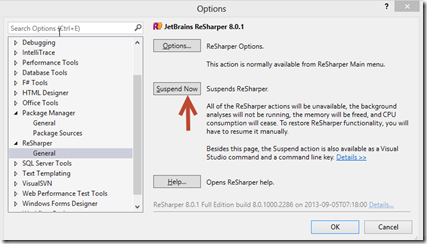 Using NuGet in Visual Studio together with ReSharper may sometimes lead you into an annoying error where ReSharper indicates your code has an error, but the solution builds just fine. 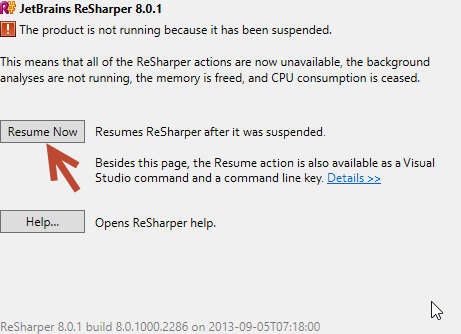 When this is done the error markers disappear, since ReSharper now is inactive. 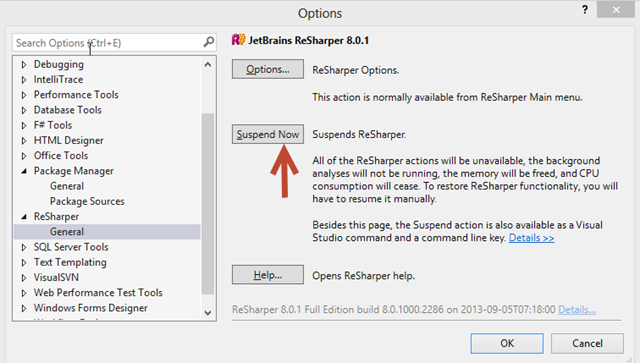 This has been submitted to Jetbrains support, here http://youtrack.jetbrains.com/issue/RSRP-396411 – Comment and votes please.